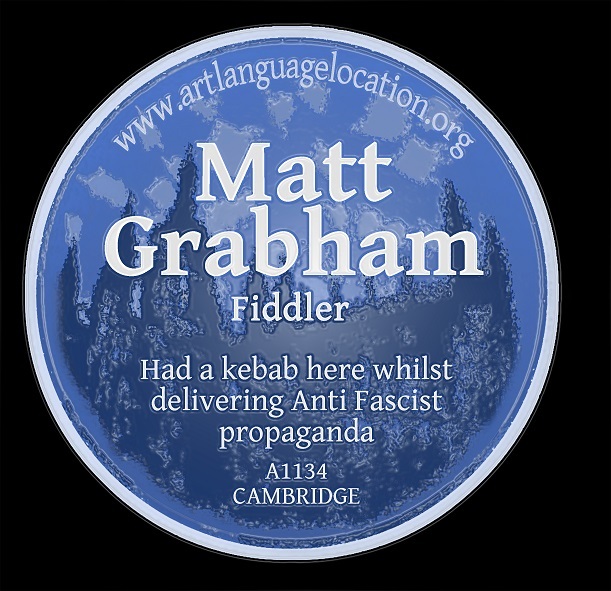 One of my favourite plaques for this exhibition is for Matt Grabham. Although you may not have seen Matt you may well have heard him as you walk through central London and beyond. Once upon a time, I believe he was a nurse, a swashbuckling carer for all our needs and he still fights for the NHS cause, attending marches and protests. As a musician of some aplomb you might think he would be most at home in a concert venue or recording studio but you’re more than likely to hear him outside Waterstones in Notting Hill Gate or inside the belly of London’s tube network. It is the encounters he endures and sometimes recounts that are worth hearing as much as his music. Read his blog A Huge Ever Growing Pulsating Busk that Rules from the Centre of the Ultraworld to gain access to a world where people make sweeping assumptions just because you choose to play music in a public place. It is with regret that I have only seen Matt Grabham twice in full flow. 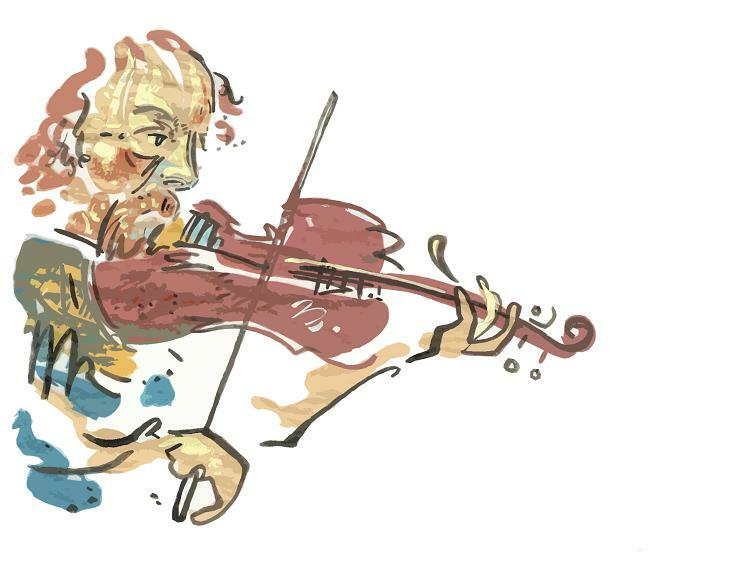 The first was playing violin at Twickfolk in Twickenham two years ago while I was artist-in-residence at the venue. The second time was in a heavily trafficked underground tunnel. The verve and passion that he gave to his performance was more impressive than that I have seen at any conventional music venue. 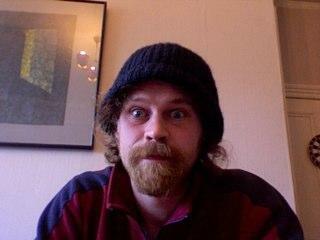 Follow Matt on Twitter @montmarcey to get the full flavour of what it’s like on the busking circuit. Alternatively catch him with Baroque Folk Noir quartet Firefay and see/hear what he sounds like amongst fellow (talented) musicians.